FAQ's — O’Bros. Window Washing and Home Services. 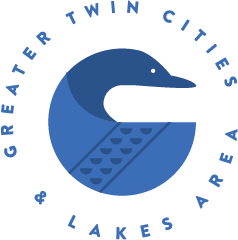 Cleaning windows, gutters, roofs, and house around Wayzata, Minnesota. How do I count my window panes? Most of our clients find it is easiest to gather their own pane count. This is typically a fast and easy process that will allow your scheduler to give you an estimate of the cost of the job. We recommend that you take a pen and paper and walk the perimeter of your home to count up the window panes. Our over-the-phone estimates are primarily for your convenience and to give us an idea of the scope of work involved as well as the amount of time the job will take. Does the size of the window pane matter? The size of each window pane does not matter. We just ask that you get a count of each individual pane to get the most accurate estimate for your window cleaning job. We do not want you to have to guess at how we arrived at our prices! How do you clean the screens, tracks, and sills? We scrub your window tracks, sills, and screens with soap and microfiber scrubbers/towels that trap dust and dirt. We then follow this up with a wipe-down/detail using a microfiber towel. They will look very nice when we are done, but they will not be perfect. We don't use Q-Tips and magnifying glasses, but our process gets them looking 90% better. Where can I find reviews from previous customers? You can click this link here to view our customer reviews on Google, Yelp, Angie's List, Thumbtack, and Facebook.